As Ted grew closer to adulthood, those around him knew he was going to be someone special. 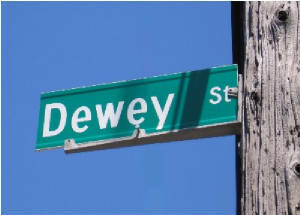 Ted Heusel, part of the Dewey Street gang, spent his whole life as part of the Ann Arbor community. He attended Eberbach Elementary, Tappan Junior High, then the old Ann Arbor High School (in what became the Frieze Building at East Huron & State). He even worked as an usher at The Michigan theatre. Oddly, the man who spent much of his life performing and directing in community theatre never performed in a high school play. 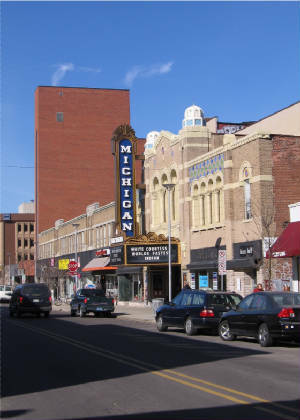 After high school, Ted attended Eastern Michigan part time before eventually enrolling in the theatrical graduate program at U-of-M.
As a young usher, Ted sometimes let friends into the historical Michigan Theatre. 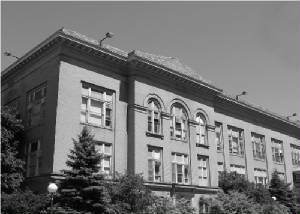 The old Ann Arbor High School, or Frieze Bldg.